1. A small shaped mold, that may have short or high sides which taper slightly toward the bottom. 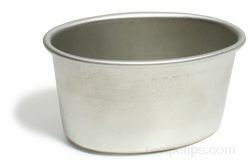 The Timbale Mold may be round or oval and is often referred to as a tart or tartlett mold. 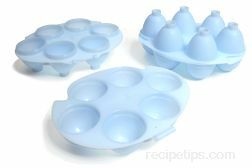 The food cooked in this mold is generally removed from the mold and provided as an individual serving. This Mold is often used to create a rice dish or custard dish made with meat, fish, poultry, vegetables, or cheese. 2. 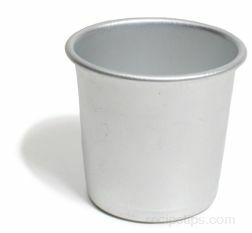 A type of unmolded food dish that was baked in a high sided, drum shaped mold, generally a custard based dish.